Perhaps it is most unfortunate to have this entry position right above my earlier entry which is about turtles. * Took another shot and hopefully shows the size better. (See right). 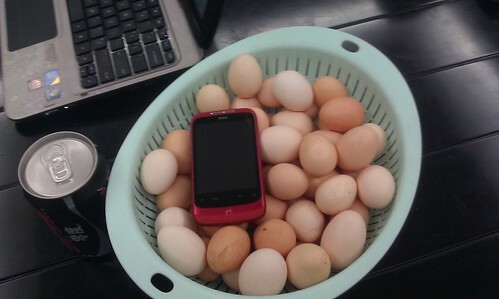 The eggs were bought out of curiosity due to their tiny size. 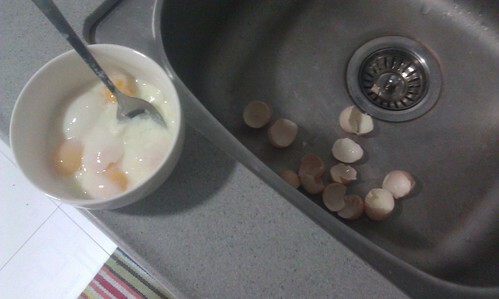 I have to use 6 of them to make a decent half-boiled egg breakfast. I was told that some of these eggs have two yolks in the already super cramped interior but I personally have not had to chance to see one myself. Apparently, 6 eggs don't really enough "egg" in it to fulfill a decent egg's content. I will try 8 eggs next time.